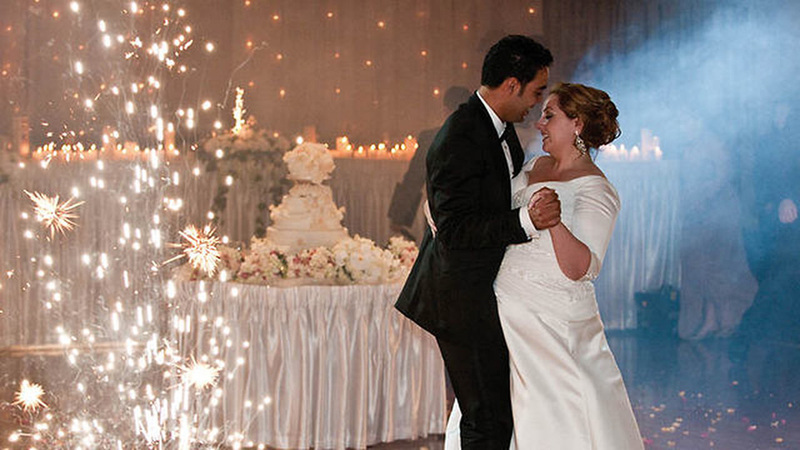 Brides, grooms and guests all say the experience is what they remember most about weddings. When it comes to creating a memorable experience, the evening entertainment is key. Choosing the right band or DJ is one of the most crucial wedding elements. However, it is often one of the last things booked. Don’t make that mistake. Start considering your needs and options as early as possible. Get together with your partner and wedding planner, if you have one, and start brainstorming about your ideal reception entertainment. When it comes to reception planning, the wedding venue capacity must be compatible with the band’s needs. Know if the venue of your dreams has a booking stage and what the sound limiter is. The sound limiter controls the supply of electricity available for musical equipment. The sound limiter will be crucial in choosing a band. If the limiter is set too low, your guests may not be able to get into the music. It helps to be aware of the style and tastes of your audience as well, knowing if softer music might be more ideal. Sit down with your partner and have a conversation about genres. Look for areas where your tastes overlap. Also, it’s important to consider the ranging age groups of your reception attendants when settling on a band style. An excellent party will provide music that makes everyone want to move their feet. To ensure your list has wide-ranging appeal, include a mixture of classics and line dance favorites. Once you’ve started narrowing down your band selection, check for footage of past performances. Pay attention to how they pace the evening and interact with the audience. This can make or break your reception experience. Remember, the entertainment choice will set the tone for the entire evening. Get online and Facebook stalk and Google search them. It’s important to get a full take on their energy and performance vibes. Make sure it fits your reception vision before signing any contracts. It’s important to consider the evening’s playlist as well. Most bands will have a list of their performance pieces. Coordinate with the band and your wedding party to ensure that there’s a cross section of tastes. Don’t forget about the in between times. Most bands will perform two to three sets for an evening, each lasting about 30 to 40 minutes. Find out if they provide or charge fees for break-time music. If unavailable, you can always put together your own iPod playlist. If you’re looking at a popular band, they’re likely booked for months in advance. That’s why it’s best to choose a band as early as possible. Make sure they’re available for the date you need. Once all the ducks are lined up, make your request and be sure the contract meets your needs. Most people rarely take off their wedding bands; they wear them through summers, winters, exercise, pregnancies—all times when your fingers swell and contract from heat, cold, water retention or weight gain.